January is one of the busiest times of the year in the bridal industry, and it’s not uncommon to hear people saying, “I have a friend that is going to do my makeup,” or “I’m going to give it a whirl myself.” This might work for some people, however please be mindful that it also has the potential to go VERY wrong! If you have spent so much money finding the right dress, photographer, or venue, then why cut corners when it comes to your bridal makeup? Invest a little in your pretty face, and read below to find the 10 reasons why you should hire a professional makeup artist. Your wedding day is guaranteed to be one of the busiest days you will ever have experienced. Take my word for it – time really does go so fast! 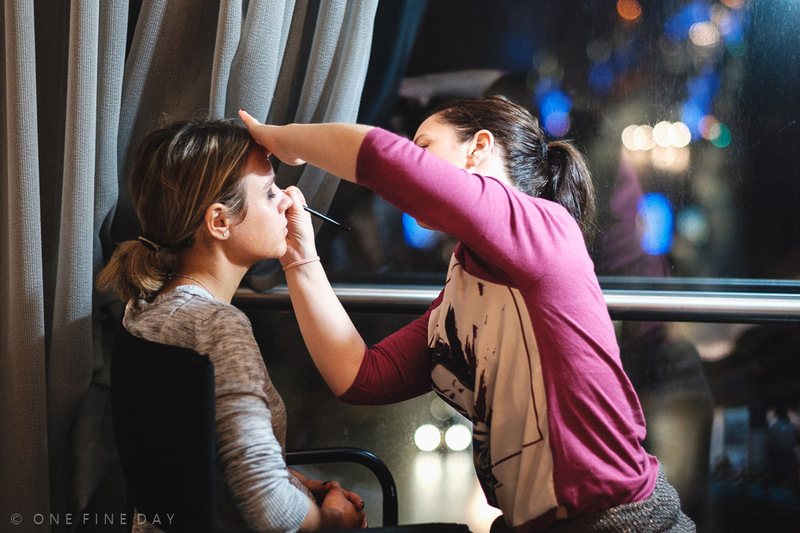 Having a professional makeup artist means that you will be able to enjoy getting pampered while your makeup is being applied. Your time in the chair will give you the chance to relax, catch your breath and enjoy a glass of bubbles. 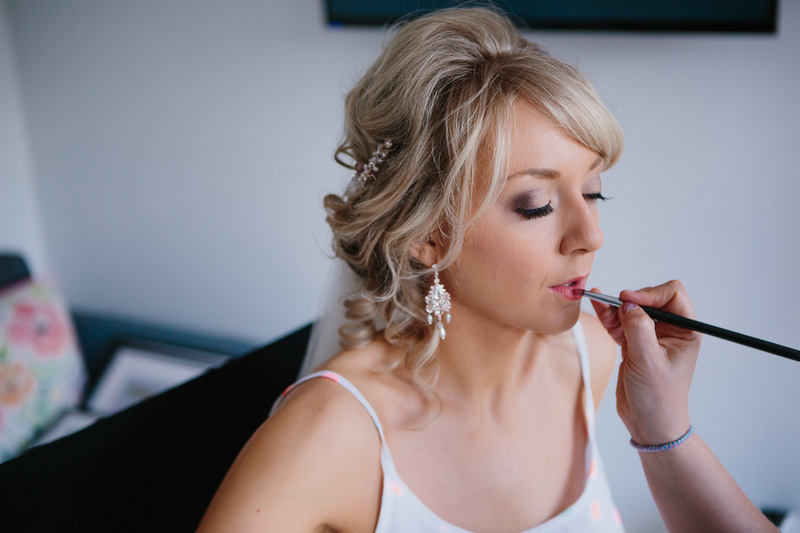 A bridal makeup artist like myself who freelances throughout Northern Ireland has the added benefit of being able to provide a positive, luxurious experience within the comfort of your own home or wedding venue as you get ready. As a professional, I always like to make sure there is an easy and relaxed atmosphere with any bridal party, as well as keeping everyone on schedule. Every bride wants to look their most beautiful on their wedding day. With today’s high definition camera, a professional makeup artist has the skills to make sure you look not only great in person but also ‘camera ready’. I always remind my brides that their wedding photographs will be the longest lasting memory of their special day, therefore looking their best is extremely important. As a professional it is important that foundation colour is correct, blush suits skin tone and everything is blended leaving flawless skin and a photo ready bride. Remember that using a foundation with an SPF in flash photography will leave a white cast over your face, so please do not risk it – this is not a good look, especially on your wedding day! Making sure your makeup stands the test of time is one of the most important factors when deciding to pay a professional. So far, I have been lucky to have past brides tell me that their makeup has lasted from early morning until the wee small hours (even through some tears and dancing). My kit products such as skin prep, primers and setting sprays are all carefully selected and utilised to their utmost ability helping to make sure you are photo ready throughout your day. Most makeup artists have invested in a kit stocked with high quality and expensive products designed for durable and specific applications that most people could not afford themselves. 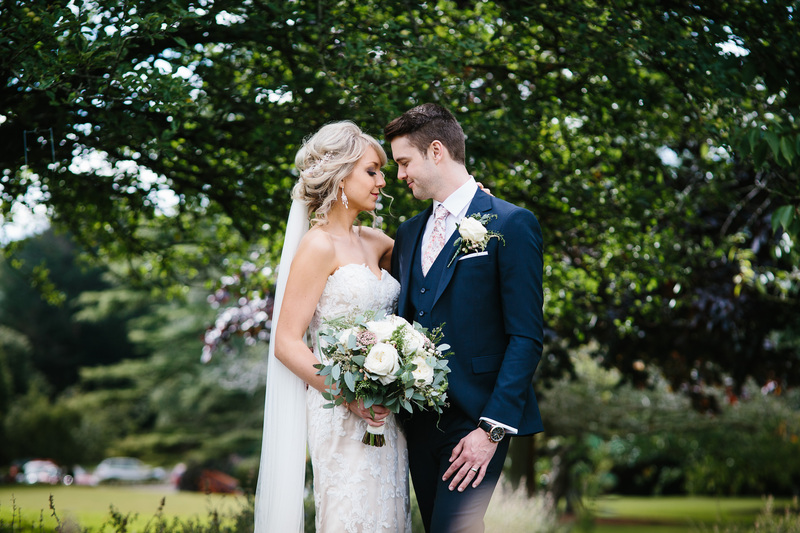 When I was getting married, I genuinely wanted a makeup artist who carried high end brands within their kit and who could cater for everyone in my bridal party with regard to their specific skin needs. Every bride wants the best for their big day – so be sure to do your research, making sure your artist works with only the highest quality products. Some of my most favourite brands include Charlotte Tilbury, Nars, Lancome, Senna, Hourglass, Tom Ford, Senna, Becca and Laura Mercier. A professional makeup artist will take into consideration your colouring, personal style and wedding theme to create a consistent, balanced look for you and your entire bridal party. Personally, I always like to remind my brides to think of her bridal party standing together for that one big photo! Does a red lip match a blush pink bridesmaid dress? 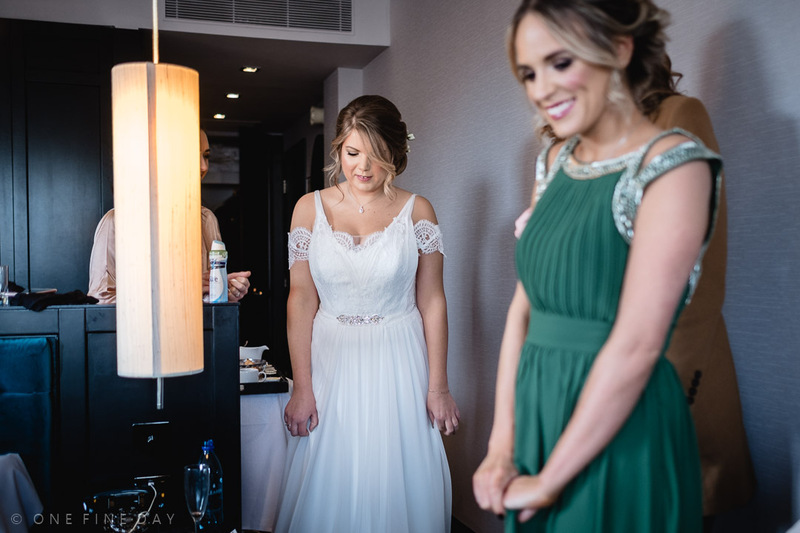 Close attention to detail will help to create a look tailored specifically to your bridal party, ensuring everyone is comfortable, confident and looking beautiful. Many professional makeup artists have a vast array of skills including basic skin care/skin analysis, to ensure the correct products are selected for specific skin types. Your make-up trial is an extremely important step in the process. This allows me to examine and recommend simple skin care tips to help prepare you for your wedding day. I have seen some fabulous skin changes between the trial and the wedding day simply by including a tailored skin care regime and a monthly facial. A professional makeup artist comes with years of training, experience, knowledge and skills to help prepare you for your big day. I have had past brides book at the last minute due to opting for a cheaper alternative. Please do your research and opt for a makeup artist who will be sure to make you happy. Have a look at a professional’s portfolio at a bridal fayre, online reviews and reputation. It is definitely not worth booking the wrong person for your wedding day, and the inevitable panic that could follow! Knowledge is power! A real pro will be trained in the art of highlighting your best features and contouring any imperfections. They know how to shape your brows to best shape your face and cover that last-minute blemish! Having assisted countless brides in their wedding day preparation, my main aim is always to have them looking polished and flawless, whilst still looking like themselves! Proper application techniques have ensured that my bridal makeup can withstand heat, wind, tears and of course a lot of dancing! Unfortunately, sanitation and cleanliness are often overlooked when it comes to the beauty industry. Clean brushes, no double dip and disposable applicators are all essential procedures when it comes to ensuring high standards as a professional makeup artist. Do not settle for anything less. With a professional makeup artist on hand for your wedding day, there will be much less risk of you or any member of your bridal party taking an allergic reaction to the products used. Allergies are always something I enquire about on my bridal booking forms. A bridal trial also ensures that you are not going to have any unexpected rashes or outbreaks on your big day! As a professional, I aim to ensure that ingredients in my kit products are always compatible for any of my bridal parties. I hope this has sparked some thoughts if you were considering having your bridal makeup applied without the help of a professional. Believe me, you are worth every penny when it comes to your wedding day so be sure to include a professional makeup artist within your budget. I promise you will be glad you did!